Sivu has announced plans for his debut album, ‘Something On High’, which will be released via Atlantic Records on October 6. This will be preceded by the official release of ‘Better Man Than He’, following support across Radio 1 (Zane Lowe, Huw Stephens, Greg James, Phil & Alice), 6Music and XFM. Already confirmed for this year's Reading & Leeds, Bestival and Wilderness festivals, Sivu has also announced an intimate UK tour for October, featuring a London show at Oslo on October 14. He also been confirmed to support Bombay Bicycle Club on their forthcoming UK tour, featuring a huge date at Earls Court on. 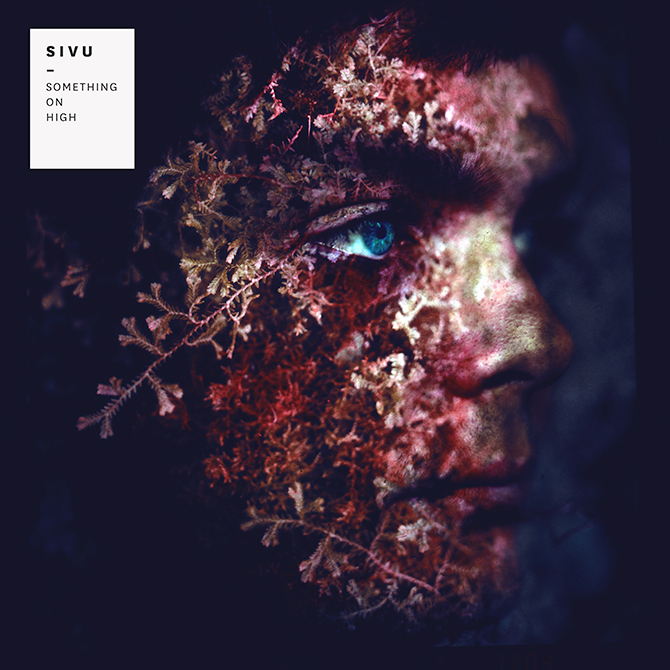 Sivu has won widespread acclaim - and comparisons with the likes of Wild Beasts, Beck and Bombay Bicycle Club – for his idiosyncratic take on pop. This debut album, ‘Something On High’ is a beautiful set of starry, dark-night-of-the-soul symphonies: songs that shimmer with minor chord melodies and fluttering beats, but also move variously into aggression, orchestration or stillness. The bulk of ‘Something On High’ was written in a period of transition for 24-year-old James Page. Originally from the sleepy town of St Ives, Cambridgeshire, Sivu had swapped his teenage dream of being in an Emo band for an admin job in Repossessions, when best mate, video director and future collaborator Adam Powell invited James to follow him down to London. The pair moved into a claustrophobic, twentieth floor ex-council flat in Kennington, where Sivu felt the emotional strains of this adjustment (and the guilt of what he’d left behind). Page entered a split role, working dead-end jobs by day – call centre, Topman stockroom – and crafting his own songs privately by night.The name Sivu, which is originally Finnish, emerged when searching for translation of his surname: strange but memorable, it's a fitting snapshot of the conflicted and lyrically direct mirror-image that would become his solo alias. Lyrically, ‘Something On High’ is a nuanced synthesis of the mundane with the divine. As his mind wondered amidst sales calls from the office, Sivu became fascinated with biblical stories and their narratives of tribulation, courage and faith (a topic which, not being religious, James was surprised to find himself returning to). It’s a questioning which spans ‘Something On High’, from the heavier burst of recent single ‘Miracle (Human Error)’ to the Blur-like self-loathing of 'Sleep' ("I'm a lord / I'm apostle / I'm a plague / I'm the cruel part of life's sleight of hand") via theanimals-walking-two-by-two march of ‘Bodies’ – which reimagines Noah’s Ark as an urban apocalypse. "That song describes a time in my life when everything was a mess. I just loved the idea of wiping the slate clean.” Sivu’s breakthrough moment came via a different sort of glimpse into his state of mind. The video for ‘Better Man Than He’, directed by flat mate Adam Powell, was recorded in an MRI machine live at St Barts Hospital, inspired by research into operational techniques for children born with a cleft palate. After Page spent two hours singing live within the scanner, the spellbinding results went viral: a deal with Atlantic Records followed, and M.I.A was among those who named it her video of the year. Though as revealing a first impression as ‘Better Man’ is, ‘Something On High’ goes further still. 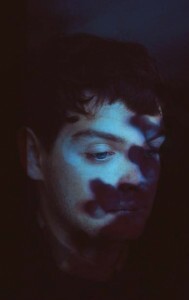 It was recorded over 18 months alongside Alt J producer Charlie Andrew, and saw the pair flesh out Sivu's demos based on the blueprint of Frank Sinatra’s ‘Strangers in the Night’. "That was the first song I ever played Charlie. I loved the romance of it and the beauty of those melodies, but I wanted there to be these fucked-up textures underneath all the songs as well." The resulting album takes its evocative title from Vincent Van Gogh’s Sorrowing Old Man ('At Eternity's Gate'), which the Dutch post-impressionist finished two months before committing suicide. In letters, he described it as a meditation on how “the strongest pieces of evidence for the existence of 'something on high', namely in the existence of a God and an eternity, is…the fact that [anyone] can have moments of emotion that give him a sense of an eternal home that he is close to.“ This search for connection, meaning and identity are rife within Sivu’s debut album, a stunning soundtrack of time spent settling into a new city, young-adulthood, and the eternal search for – whatever it is – something on high.